R City is located to the north of the center of the “Island” map. On the southwest side, it is a sparsely populated “ruin” and the southeast side is adjacent to the “school” of the land of right and wrong. 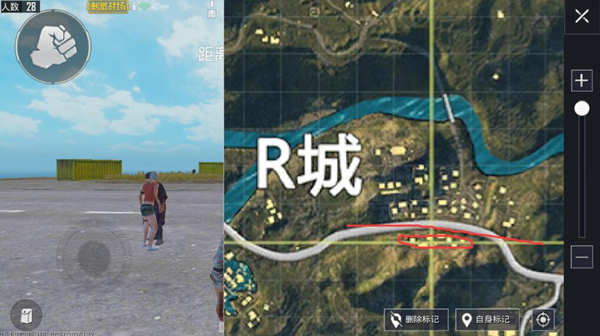 In “PUBG Mobile: Stimulating the Battlefield”, R City’s footing sometimes needs to watch for luck. With good luck, you can’t find anyone else and you’re lucky. It’s not uncommon for you to drop two or three teams. Today we will talk to you about R City’s resource search route and how to meet enemies’ card points. Although R City is an intermediate resource area, it has many buildings and covers a large area. It is not much weaker than some advanced resources. R City is not the same as most of its resources, and its small area is extremely undulating. Search speed is still relatively fast. However, single-person search still requires certain circuit planning. Otherwise, it will not waste time. It is not easy for the enemy to deal with other points. Let’s take a look at the recommended search route below. As shown above, we have divided R City into three regions. In the absence of external forces on the premise of small, then our search route can be directly from 1 to 3 to pull through. Why is this arranged? Because of the high terrain of the area, the entire city of R City can be confirmed for the first time before landing. Followed by the 2 areas, the reason why the amount of people last search 3 because 3 is next to the roadside, and there is also a garage, generally found here to drive directly to withdraw. Safe and quick! 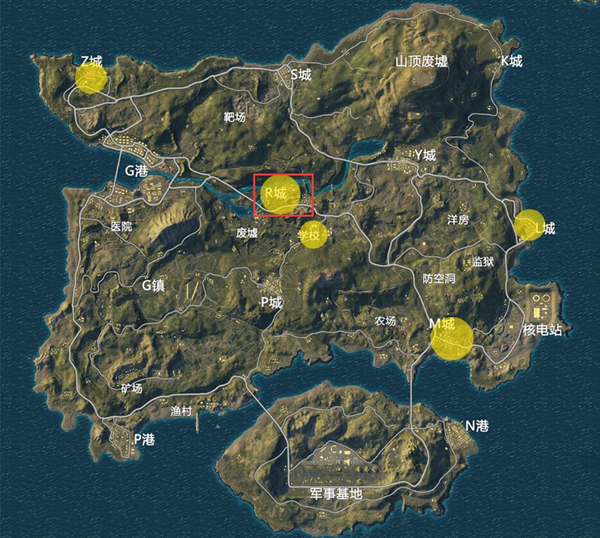 When we are about to land, we need to select points based on whether or not people are there and where the enemy is located. Bit settled. How to choose it The following are a few key buildings. The No. 1 location building is the highest-rise building in R City’s entire resource base. Large warehouses and double-storey houses have a great chance of brushing out high-quality supplies. The most important thing in choosing this point is the high ground and good view. In particular, there is no top floor, double floors, and the roof can be raised. There is also a wall on the roof, and you only need to squat. Then the entire R city is basically not Location can hit you. The No. 2 location building is also a high-rise city in R. Points, topography only after the number 1. And the three buildings in the area can be fully armed after a relatively basic search. Even if you encounter enemies, you can use the advantages of two-story building directly in situ card points, the advantage is self-evident. However, it should be noted that it is easy to be touched by the enemy on the 1st, which is why the number 1 priority is greater than 2. This location of No. 2 location is another slightly higher double-storey building in R City, but the disadvantage is more obvious. It is a small building, basically a single building. If you do not get a gun after searching here, then it is difficult to follow the transfer, because this position is indeed too independent, there is no other house around. If you want to move to search in other areas, the middle ground is a dead zone. But its advantages are also very obvious. In the premise of adequate equipment, the card is effective at this point. Because the surrounding area is empty, it is unreasonably difficult for the enemy to run safely. Therefore, this position is usually selected last time, of course, the situation is forced, it can only fall here and give it a stroke! Finally, why don’t you choose No. 3 and add you Zhu Zhu . Because Area 3 is more independent than Area 1 and Area 2, and there is a road in the middle, and people across the road generally pay attention to this area. A slight inadequacy is likely to be killed by opponents. The reason is the same as above.